Has your springtime project list reached an epic length. People usually find themselves most enthused about home improvement in the springtime, those few weeks squeezed between winter hibernation and "OMG-it’s-so-hot-I’m-never-moving-again." Memorial Day weekend is kind of the best time to get cracking on those projects for many reasons (3-days at home, hardware store sales, getting your home dressed to impress for a busy summer). 1. Clean out your gutters - Gutters are an integral piece of your home's well-being. They serve to control the flow of rainwater to protect your roof, walls, foundation and landscape. A gutter clogged with leaves, sticks and other debris can cause a leaky roof or water damage to the interior or exterior of your home.This should be done at least twice a year, and Memorial Day is an ideal time to do it. Scoop out leaves, pine needles, and other debris by hand, or vacuum or power wash it out of your gutters before bagging it. 2. Check smoke detector & carbon monoxide batteries - Be sure to check your smoke detector and carbon monoxide batteries often; but this weekend, make this a to-do list priority. Mark your calendar to check both devices again on Labor Day weekend to keep you and your family safe. 3. Paint all the things you've been putting off - A quick coat of paint, whether interior or exterior, is one of the easiest ways to spruce up your home with a big return on investment (paint is often on sale Memorial Day weekend too). 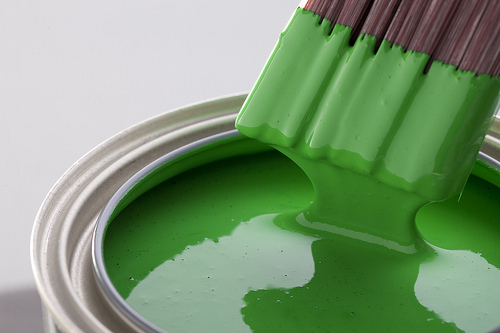 Both renters and homeowners alike can take advantage of the benefits of a fresh coat of paint. Depending on the size of the space and how much prep work is needed, painting can take as little as one to two days. 4. Pressure wash your deck and siding - Before using the pressure washer, take a quick walk around the house to make sure that the siding is all intact and no pieces of vinyl have become loose. Check for cracks in the siding that water might penetrate and identify how the lengths of siding on long walls overlap. Make sure all of your windows are shut and check to see that caulking and glazing on those windows is in good condition so that water doesn’t seep in. If you plan on doing any entertaining this summer, this is a great way to give your deck a "like new" look that will make your next cookout memorable. 5. Organize your closet, basement, or garage - Tackle one closet in your home that has seen better days. Organize items into three piles--keep, toss, and donate. If you're really feeling motivated, aim for de-cluttering a larger space like an over-filled basement or garage. Most likely you are like the rest of us, and greatly underestimate just how much clutter you have accumulated in your home or garage. A dumpster is an amazing asset to have onsite during a clean out. 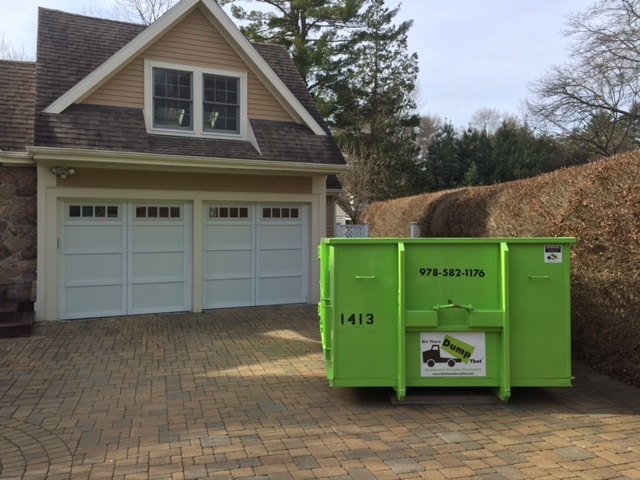 It takes the hassle out of worrying about just what to do with all those unwanted items you have been sorting through and are now piling up in your driveway. And if cost is an issue, go in on one with your neighbors. Sharing the cost while all being able to finally get rid of unwanted items will benefit everyone.